Two types of unsurpassed SRC processing. Efficient Batch Processing. "[Legendary I.C.E. :] We tried it, we loved it, we bought it!!" "[Sonic Studio Mastering EQ]...a real step forward, with the great sound we've come to love"
"soundBlade and Quartet - a totally unique combination of the highest quality sound with excellent EQ and dynamics. I'm not a big plug-in user, but this is the plug-in to use with soundBlade." 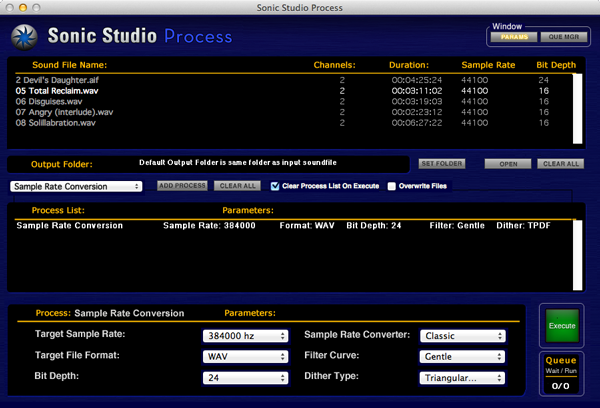 "What the Sonic Studio Mastering EQ does is nothing short of a miracle." 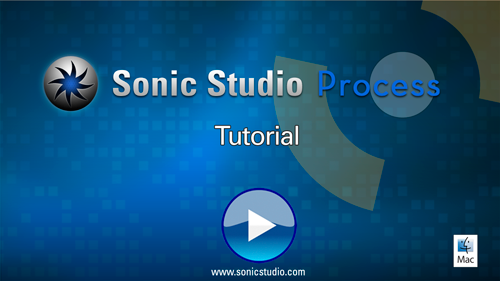 "It's rare that the most convenient way to do something also provides the best quality, but with Sonic Studio Process that's exactly what I get. Being able to process multiple files at once with the same SRC & dithering algorithms I use on my final bounces has always been my ideal scenario!"